As part of National Crime Victims’ Week April 7–13, Help Network of Northeast Ohio’s Victims Assistance Program will present its annual luncheon in honor of victims of crime. The event will be held Wednesday, April 10 from 11:30 pm to 2:30 pm at the Holiday Inn, 7410 South Avenue in Boardman. The Keynote Speaker is Officer Jeff Kay of the Youngstown Police Department, and Guest Speaker will be Teresa Stafford. 1.5 CEUs will be offered for counseling and social work. Tickets for the luncheon are $25 each. For more information, contact Brenda Gray at (330) 747-5111. 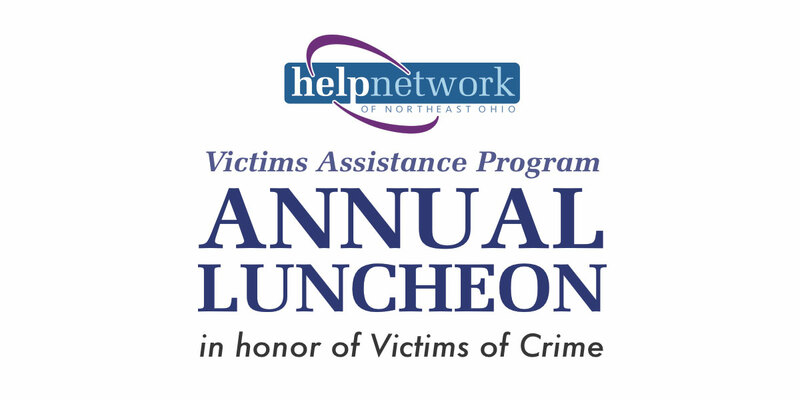 Help Network’s Victims Assistance Program Annual Luncheon is supported by the Office for Victims of Crime and Office of Justice programs through the Ohio Attorney General’s Office.